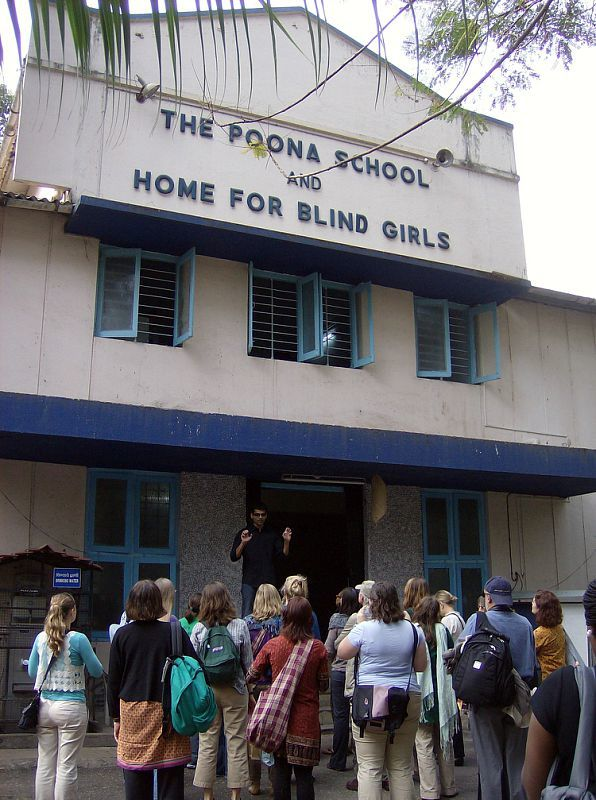 The Poona Blind School and Home has been a pioneer institution for the blind in Pune. This eight decade old institution was started by Dr.S.R.Machave, a practicing eye specialist who worked specifically for the noble cause of securing the future for people who were blind. This school had a humble beginning in the year 1934 in a rented premise at Somwar Peth, in Pune. The school for boys was shifted later to another campus in Koregaon Park, and has come a long way since then. Forty years after the inception of this blind school, a separate school for the blind girls came into existence in the year 1974. Soon thereafter, a vocational training centre for girls was established in an order to make them self sufficient in the outside world. Training these students for rehabilitation and self-employment was the objective of starting this blind school. To cater to the needs of boys and girls who are totally or partially blind. To provide the inmates educational facilities such as teaching Braille as a medium of learning, music, vocal and instrumental, arts and handicrafts, physical instructions and moral teachings & values. To provide residential facilities such as clothing, bedding, utensils and medical aid to those admitted in the hostel, as far as possible. To admit non-residential children as day-scholars to the fullest capacity of School. To educate and propagate the awareness amongst the public with a view to prevent blindness and protect one’s eyes. To organize the facilities of medical assistance and surgical attendance for the blind. To provide tools to needy blind and partially blind children. 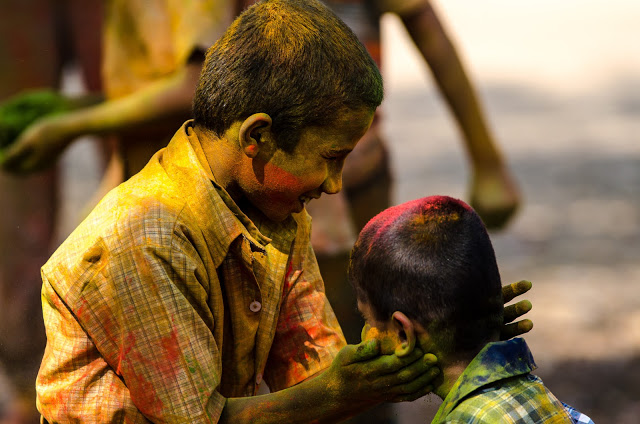 To conduct workshops for the blind children and adults. To organize meetings, conferences and seminars on education and the problems faced by the blind. To create awareness through books and magazines on problems faced by the blind and their rehabilitation. To provide employment opportunities through their open industries or in own workshops . To seek help and support from industrialists and businesses etc. in the work relating to the Blind. To undertake the study of an action-oriented pilot projects in the field of welfare for the blind. To educate the public with a view to encourage the blind people to avail the facilities of education, employment and rehabilitation. To co-operate with the other voluntary agencies working in the field of social welfare. The school secured a place in the Guinness book of world records, for a full-length play where the entire cast starred was blind. The school secured first position for last four years in All India Dance Competition organized by Amway Opportunity Foundation where 25 schools participated. At the District level swimming competition, five students from the Trust ranked no. 1 in all five groups. The school had secured the first position also in cooking competition, essay writing competition and singing competition held by the Scout Institution, Pune. In the Paralytics games too, students from our school scored maximum marks in the last few years. At the district level, a fancy dress and athletics competition was held by the Balkalyan Sanstha, where the Pune Blind School has been consecutively securing the first position for last three years. Students from this blind school are ahead not only in music, games and dance but also in the area of education and academia. Every year, 100% of students pass in their board exams. The trust also provides training related to operating and using computer systems. Various projects such as sensory pictures and sensory gardens for students’ training students are also being provided. Another goal of the school is to ensure a successful career for their students. Some of these students are chartered accountants, teachers, musicians, national sports leaders, etc.